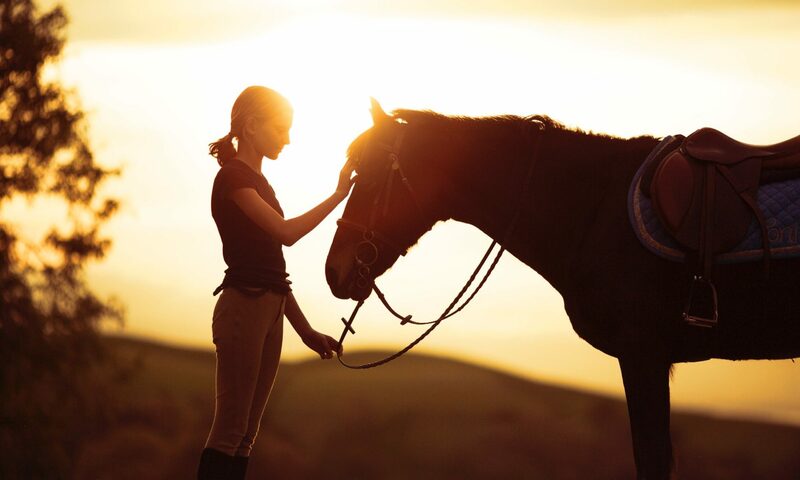 At HC Equestrian, we offer lessons & training with a focus on goal-oriented, quality instruction. Whether you are looking to take your show ring performance to the next level or learn basic skills, Ali Kermeen and her team have the experience and understanding to help you realize your goals. Instruction is offered in Dressage, Hunter/Jumpers, and Eventing. It involves working with a horse both on the flat and over fences. The three phases are: dressage, endurance (or cross-country), and show jumping. Dressage is a French term meaning “training” and its purpose is to develop the horse’s natural athletic ability and willingness to work making him calm, supple and attentive to his rider. With different movements and requirements from western dressage, Cowboy Dressage has additional elements in its Challenge Court, Vaquero Style, and Partnership Style. Additional tests are available for gaited horses, making Cowboy Dressage accessible to a wide variety of horse enthusiasts. A hunter is awarded for consistent, fluid paces, and classical form over fences. A show jumper must have the scope and courage to jump imposing fences as well as the athletic ability to handle the sharp turns and bursts of speed necessary to navigate the most difficult courses. Hunter Seat Equitation requires precision and grace while negotiating technically challenging courses.